Highlighting a woman on an African paint canvas ! 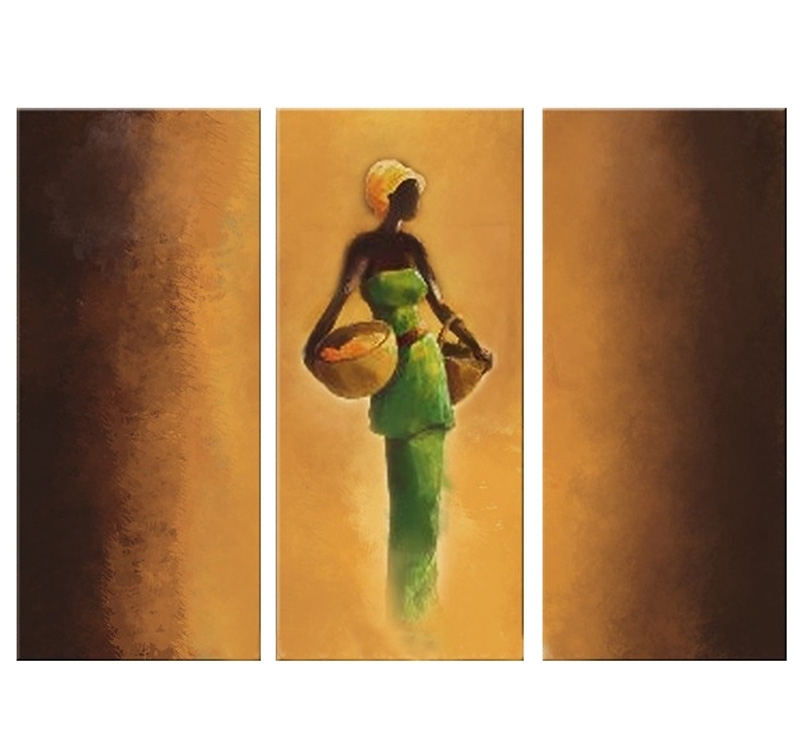 The dimensions of this African triptych canvas are 120 x 80 cm. 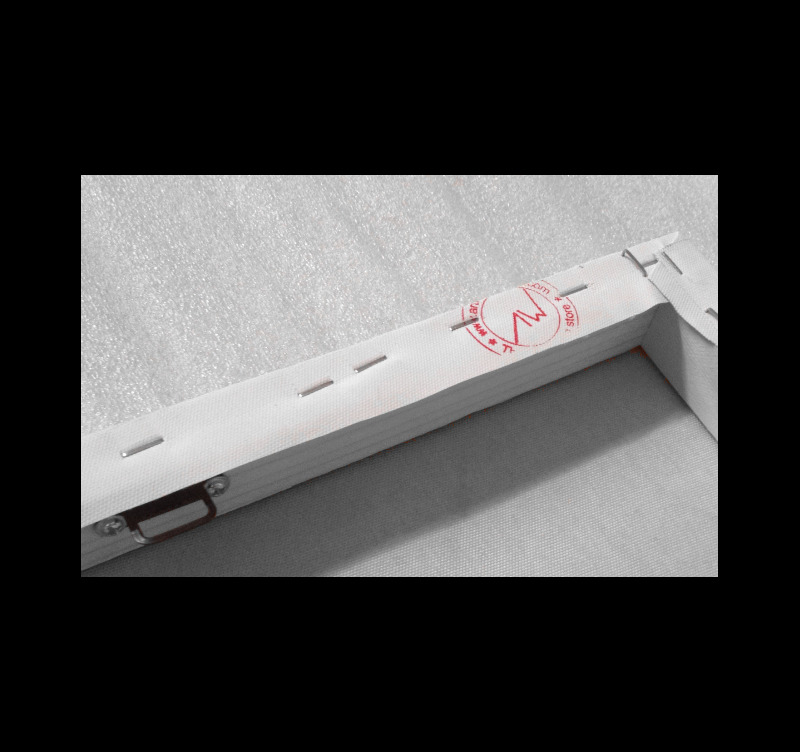 For the purchase of this ethnic canvas,the 48h delivery is free in metropolitan France and Belgium. This African woman canvas is brush and hand painted by our artists. A multiple African canvas for a unique home ! Discover all our artist’s technique with this African paint canvas showing a woman carrying her baskets. The shading of colours of this ethnic canvas focuses all the attention on the central board and also brings a warm ambiance to your home decoration. This African woman painting will perfectly fit in a modern deco with its symmetric boards and a unique brush stroke ! 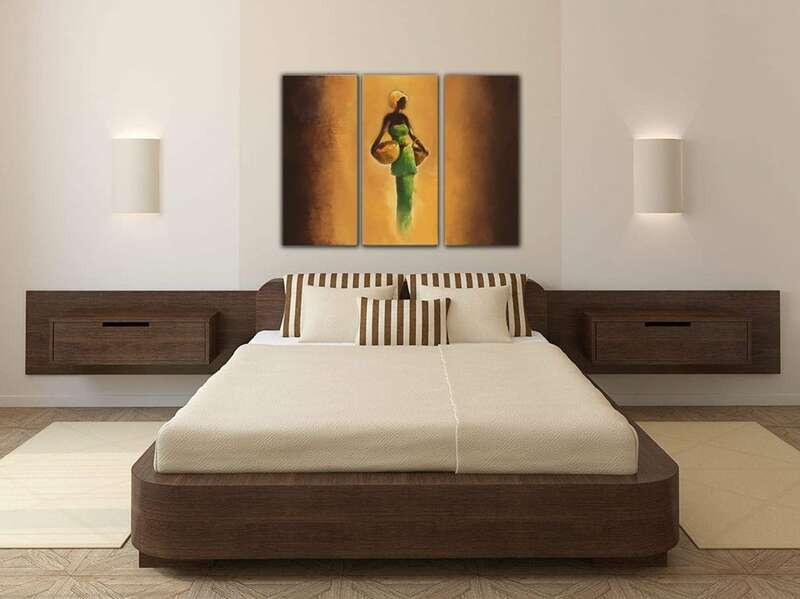 The ethnic African canvases in this category are painted on a cotton canvas stretched on a Canadian pinewood frame so the picture is ready-to-hang. The African decorative canvases are delivered wrapped and with cardboard corners and hanging system. All the ethnic wall canvases of the African canvases category are original hand painted works to ensure a better finish and a long-lasting quality.